Is it really Friday? Where did this week go? 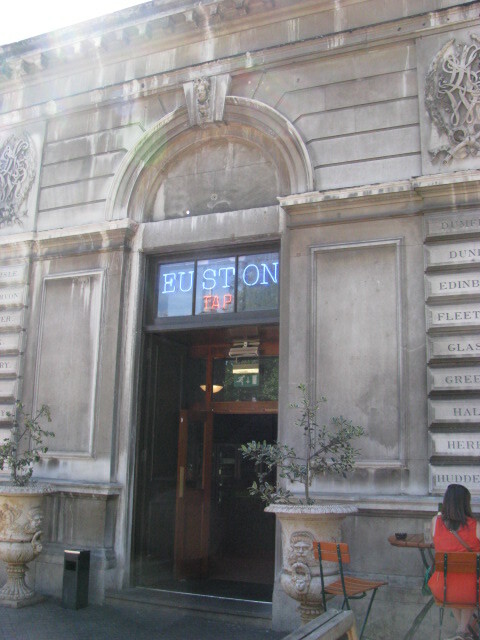 In yesterday’s post I mentioned that I stopped at Euston Tap on my way to Camden Town last Saturday. I wouldn’t refer to this place as a pub, but I am going to review it anyway. We found this gem last year and have been there a few times. 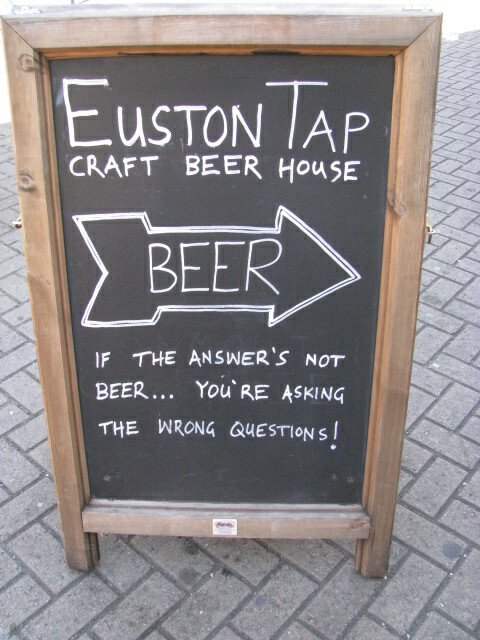 If you are a beer lover, this place will make you smile. They have beer on tap and in the bottle. In fact, according to their website, they have about 150 beers in their fridge. You can drink them there or take them home. 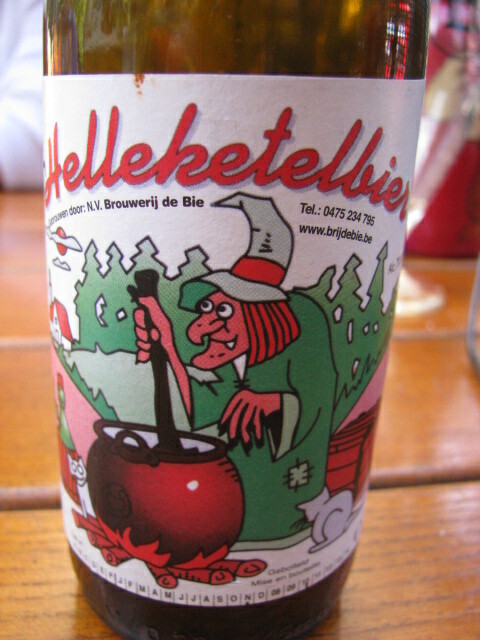 If you are looking for your typical tipple on tap you may be disappointed. They continually change the beer. 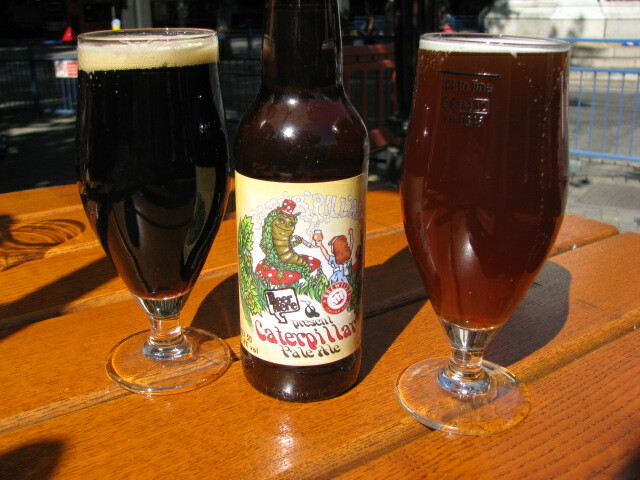 You can check out what they have on tap prior to your visit by looking at their blog. We like to live on the edge and just take our chances. Every time I’ve been there, the staff has been friendly and able to make suggestions for me. I will warn you, that their beer can be on the pricey side. They pride themselves on seeking out the best in quality, not price. And for those who don’t like beer, don’t fret. They also serve some spirits and soft drinks. You won’t find pub food at this joint, but after 6pm on Tuesday through Saturday you can order pizza from Famous Ray’s and it will be delivered to your table. I haven’t tried the pizza yet since we are usually there on a Saturday or Sunday afternoon. 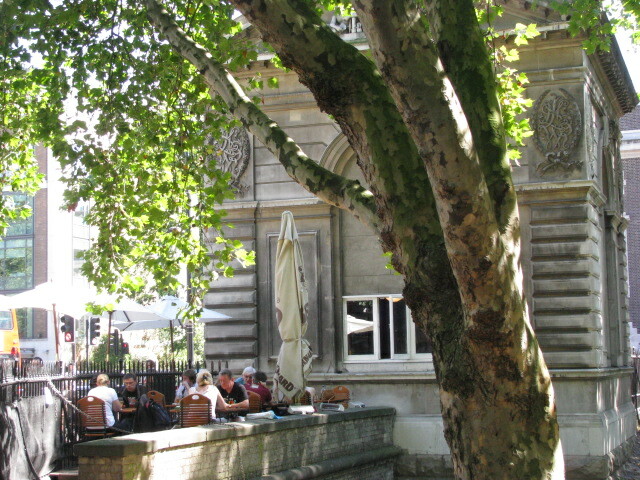 The Euston Tap is outside Euston Station. I’ve only been there on sunny days and have enjoyed having a pint or two outside watching the hustle and bustle of people trying to catch their bus or train. 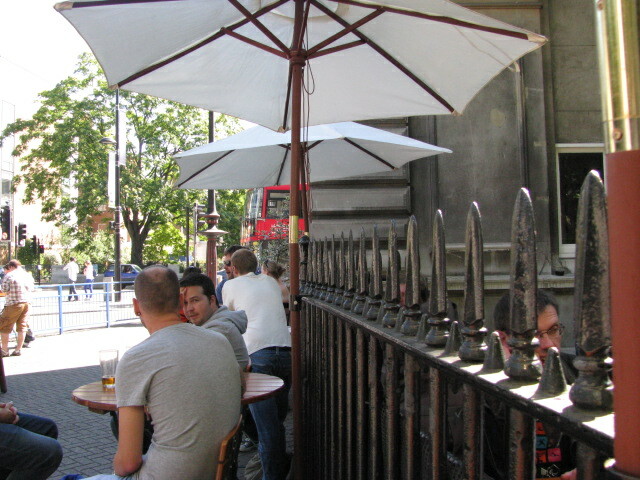 They have several tables outside and there is an upstairs with more seating room if you prefer staying inside. This place won’t dazzle you with their interior. 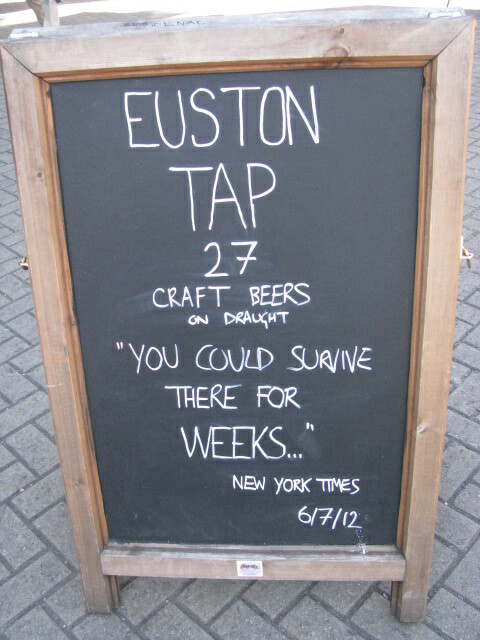 What’s impressive about Euston Tap is their love of beer. And for that, I give them 4 out of 5 stars. This photo shows the building from the side. It isn’t big, but it’s full of beer. After a few drinks, you may want to paint your best friend’s toenails. 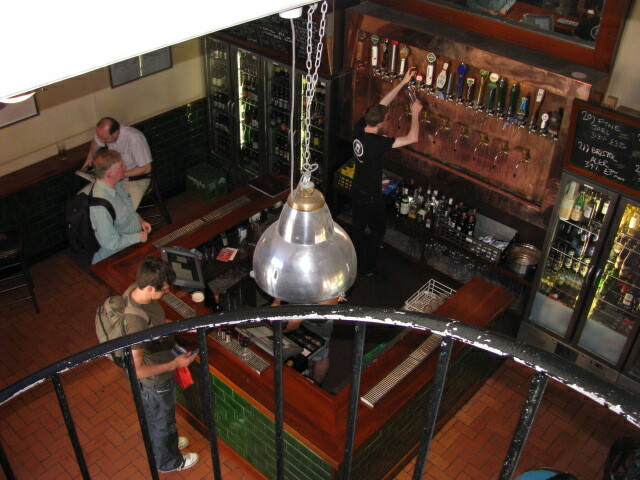 This entry was posted in Pub of the Week and tagged 50 Year Project, Beer, Camden Town, Craft Beers, England, Euston Station, Euston Tap, Life, London, Photography, Photos, Pub Reviews, Tipple, Travel Blog, Travel Journal. Bookmark the permalink. 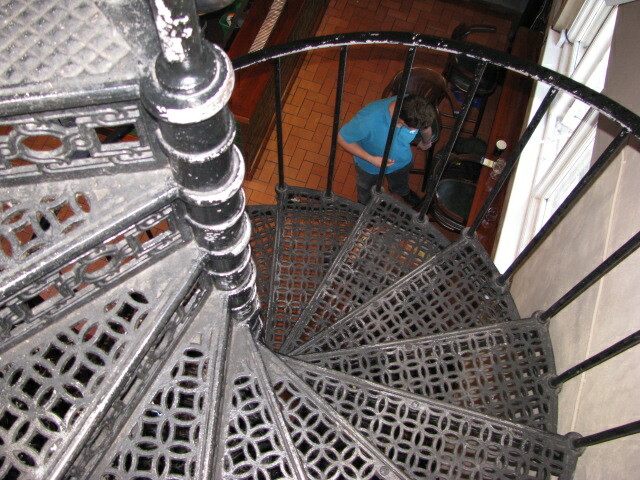 Oh, I do so like those kind of spiral staircases! Looks like a fun place. I like the quote on the second blackboard sign. Glad you keep posting these, I enjoy them very much. Even if they do make me thirsty. Another difficult day in an English pub. I realize that is a demanding task, but I’m glad that you are up to the challenge. Of course a new challenge for you could be to sample their 150 beers! Wow, 150 beers! There should definitely be something in there I like! LOL about the toenail painting. After a few beers – how can you even see your friend’s toe nails? I’m not good sober, so I’m assuming this would be impossible for me.